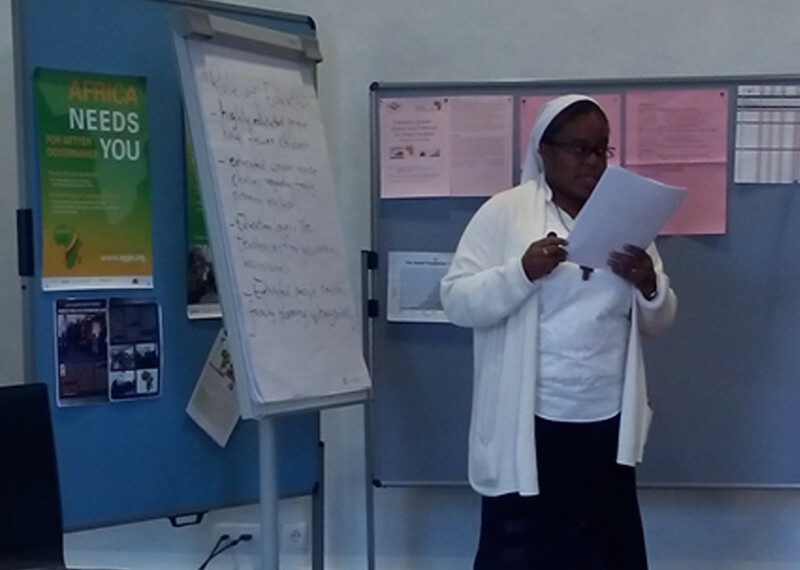 The workshop „Governing Population Growth – Chances and Challenges for Africa’s Societies“ was held in Helmstedt, Northern Germany. For three days, participants discussed various aspects of African demography. Keynote speaker Dr. Tanja Kiziak (Berlin Institute for Population and Development) kickstarted the discussion by presenting the recent study „Africa’s Demographic Challenges: How a young population can make development possible“. Presentations of AGGN fellows and external experts shed new light on the complex causes and consequences of population growth in Africa. An excursion to the former BRD-DDR border, the „Iron Curtain“ (Helmstedt/Marienborn, Hötensleben) brought German history alive and was an additional highlight oft he program. The workshop was held in cooperation with the Catholic Academic Exchange Service (KAAD).